Zionsville, No Spring Art Camps for 2019 - REGISTER NOW SEATING IS LIMITED! Staying at home for spring break? 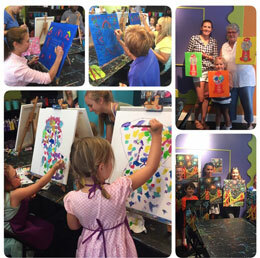 Make your own sunshine at Myart Zionsville Staycation Camps! Join us as we spend spring break with 3 days of fun filled art camps. Each day you will use your imagination to discover techniques with mixed media, acrylic paint, oil pastels, stencil, stamps and more making three-dimensional art. Camps are for ages 5&up, $40.00 per student. Registration is required online and spots are limited. Please click on this link to complete this form for registration.